The fourth day of the valentine week is devoted to celebrating the innocence and fun aspect of a love relationship. 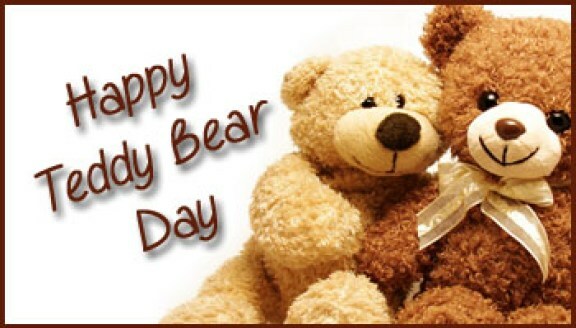 The day is dedicated to one of the cutest and most adorable toys loved by people across the globe, namely the Teddy Bear. The origin of the teddy bear itself resulted from a simple act of kindness by the then American President Theodore Roosevelt. Reportedly, the President spared the life of a teddy bear during a hunting trip that he had gone for in 1902. A couple of years later, Morris Michtom, a maker of soft toys, created a cuddly bear shaped figure and sold it with the name of teddy bear. On the fourth day of Valentine week, lovers gift a cute teddy bear to their beloved with the hope that their relationship will remain as adorable and as innocent as the soft toy. So, make sure you choose the perfect teddy bear for the love of your life and enjoy the bliss of togetherness on this Teddy Day, as you present them with the sweetest gift that symbolizes a lifetime of love and care! Adore me till the day I dispose!! !